Innovative, data-driven technologies are spurring a revolution in many environments, increasing opportunities to achieve operational efficiencies. In the debut issue of S2 Global’s new Accelerate magazine, we explore how and what data are used in security screening operations to reach high efficiency levels and promote agile decision-making. Efficiency is a theme carried throughout the issue. Accelerate includes stories on World Customs Organization efforts to streamline the sharing of x-ray images, and best practices in managing events safely while moving spectators and vendors smoothly through the screening process. Another piece evaluates the role that training can play in aligning the technology, protocols and people needed to provide effective security in a range of environments, including borders, ports and sporting events. 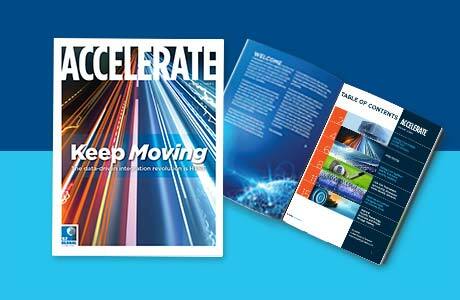 We hope you enjoy this and future issues of Accelerate.